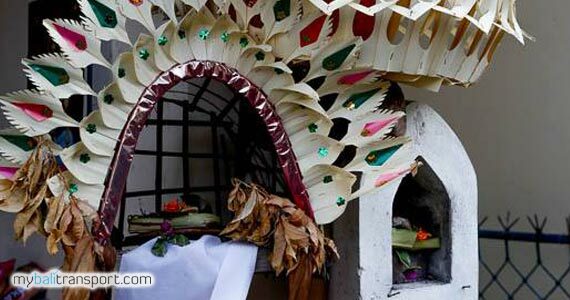 In Bali, generally recognize two types of Penjor namely Sacred Penjor and Pepenjoran or Decoration Penjor. 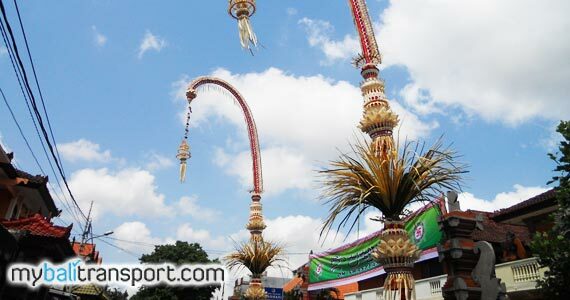 Sacred Penjor is part of a religious ceremony of Galungan or piodalanan ceremonies. 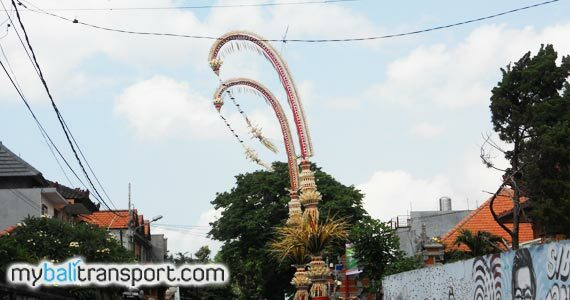 While the Sacred Penjor used during Galungan which contains Sanggah Penjor, Pala Bungkah and Pala Gantung, Sampiyan, Lamak, snacks and otherd. 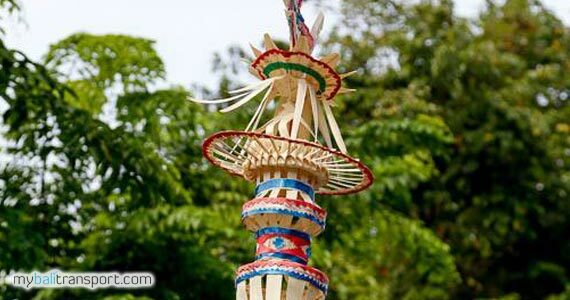 Sanggah Penjor Galungan use Sanggah Ardha Candra made of bamboo, with a basic rectangular shape with a roof that semi-circular curved so that its shape resembles a crescent moon. The purpose of the installation Penjor as devotion intended Ida Hyang Widi Wasa or God Almighty and thanks for the prosperity of grace. 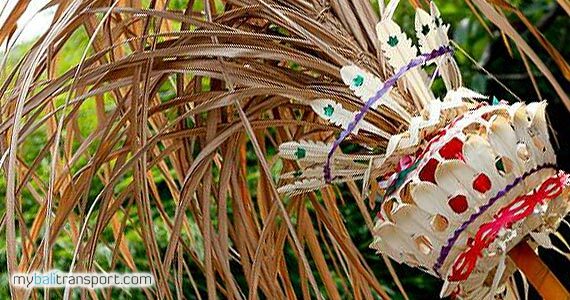 Penjor with high arched Bamboo is a representation of the highest mountain as a sacred place is Mount Agung. 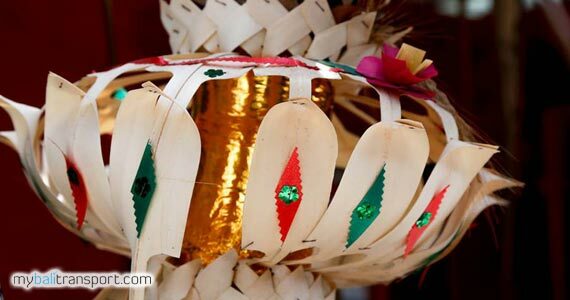 Decorations are of various types of Bali leaves such as daun cemara (pine), Andong (Liliaceae), Paku pipid, Pakis Aji and others. For fruits using corn, coconut, cassava, banana and rice, equipped with snacks, sugar cane and money. Is representative of the entire plant and food and clothing that have been delegated. 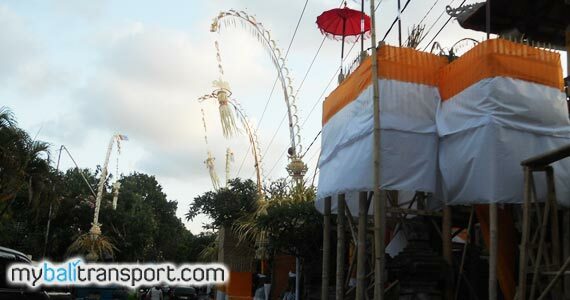 In addition, Penjor is an Earth symbolize with all the give of life and safety. Earth or land described as two dragons are Naga Basuki and Ananthabhoga. 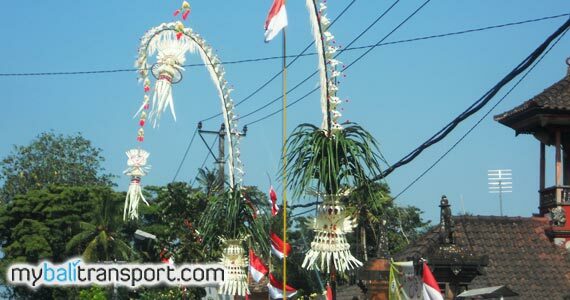 While Pepenjoran or Penjor as Decoration generally only used when festival and other events as a decorator. Pepenjoran contains no Sanggah Penjor and ornaments of Sacred Panjor. Usually Penjor created or linked by men in Bali. While sampian or leaf collection, prepared by the women of Bali.